Otago Bridge Club is one of the oldest in New Zealand, established in 1936. We moved to our present clubrooms in Otaki Street in 1975, where we have three spacious and comfortable playing rooms, with a large kitchen and bar, which provide a relaxed and welcoming atmosphere for bridge players of all standards. Members range from teenagers to nonagenarians, and we cater to all players from those looking for their first introductory lesson, to those wishing to test their skills against Grand Masters, National Champions and international representatives. Younger players will enjoy the strong University student presence, while the more mature will be pleased with the Club’s comfortable rooms, high standards of behaviour and daytime games. Visitors are welcome. 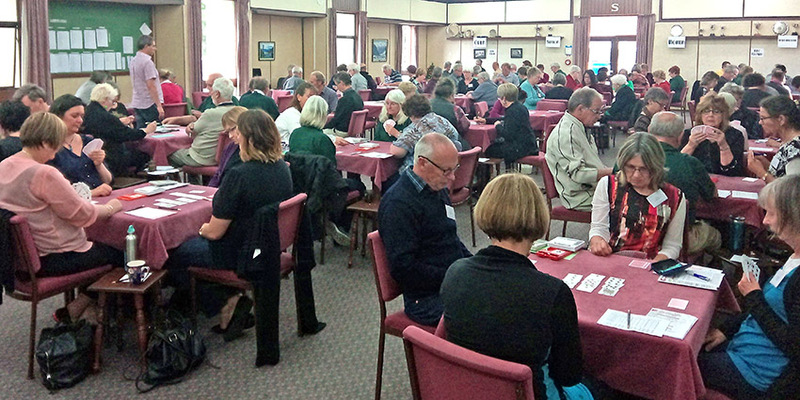 The Otago Bridge Club is affiliated with Otago Southland Regional Bridge➶. At present the Club runs in 4 divisions: Junior, Intermediate, Senior and Open. The Club also has a vigorous educational programme: teaching classes for beginners, introductory lectures for novices and practice sessions for improvers. In addition we run 24-board Teams matches with around 30 teams participating, Women’s Pairs events, and duplicate pairs every Friday. Casual events may be held at weekends during the winter months. We run two sets of lessons. There are twelve lessons, interwoven with about ten playing sessions in which you practise what you have learned. The cost for the series of lessons is $50 per participant. The rooms or complete building are available for hire at very reasonable rates for weddings, parties, anniversaries, other clubs and conferences; contact Judy Russell (Ph: 454-4322, Mobile 027-454-4323, Email russellfam2002@yahoo.com.au) for details.